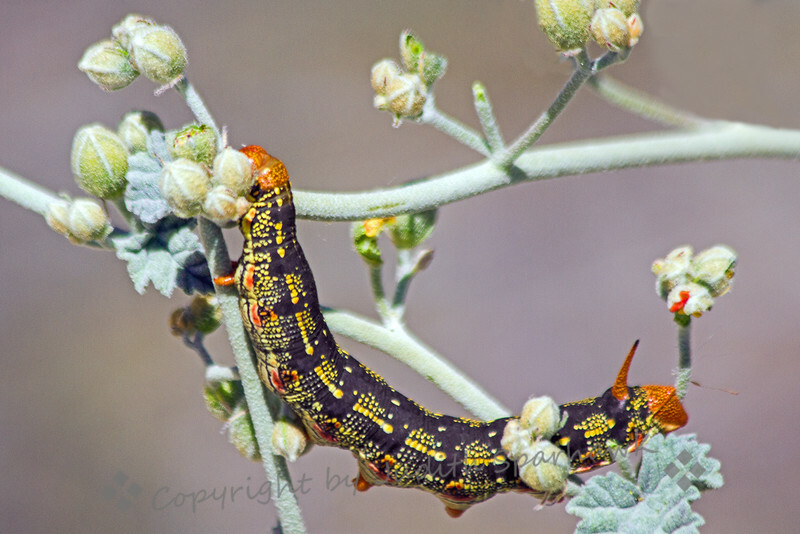 This critter is the larva of the White Lined Sphinx Moth. This spring they are all over the desert wildflowers in Southern California. According to my books, they will eat a wide variety of plants, and thus at times have large explosion of numbers in the dry climate of the west. It appears that this is one of those years.